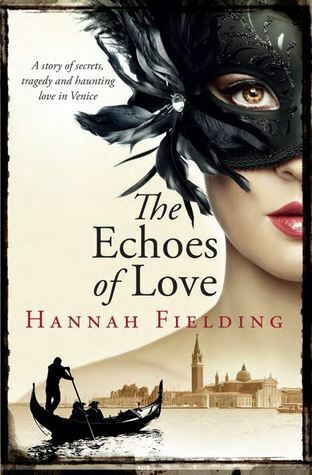 The Echoes of Love is said to be Hannah Fielding's gripping new romance, and has been awarded Best Romance Novel at the Independent Publishing Book Awards 2014 where it competed alongside romance novels from 33 countries to win this coveted award. The book received fantastic reviews when it came out at the start of 2014 and is the perfect beach read, mixing travel, romance and passion. "Venetia Aston-Montague has escaped to Italy’s most captivating city to work in her godmother’s architecture firm, hoping to recover from a broken heart. For the past ten years she has refused to let herself fall in love, only to be caught off guard during carnival when she is rescued from armed thieves by a charming Italian, Paolo Barone. Drawn to the powerfully attractive Paolo, and despite warnings of his ladies-man reputation, Venetia can’t help being caught up in a passionate affair. When she finds herself assigned to a project to refurbish his magnificent home deep in the Tuscan countryside, Venetia not only faces a beautiful young rival but dark reminders of her past, determined to come between them. Can Venetia trust that love will triumph, even over her own demons? Or will a carefully guarded, devastating secret tear them apart forever?" At first, I found this book slightly overwhelming as the descriptive nature of Hannah Fielding’s writing is something that you do not encounter in every book you pick up. Having never been to Italy as an adult, I could not exactly relate to the descriptions themselves as I think you would had you experienced the location yourself, but they are beautiful and they do help you conjure up some wonderful images of locations, art, food, fashion and Italian lovers. However, every word is important and you do need to concentrate. This is not the sort of book that you can skim through; it is mature and it has depth. The book is also interlaced with Italian phrases and sayings, which I quite liked, but did make me wish I spoke Italian (even though you do not need to speak Italian to understand!). I have to admit that I guessed the twist, which does not occur until the very end of the book, very early on. To me it was entirely obvious from the way Venetia and Paolo interacted with each other. However, I could not quite work out the mechanics of it. I therefore was not at all surprised when the bombshell was dropped, but in fact, had been waiting for it for some time. However, I should emphasize that knowing this did not make me dislike the book at all. I still enjoyed reading Venetia and Paolo’s journey into each other’s heart. Ultimately, this is a love story, a story of fate and a story absolutely packed full of passion. The Echoes of Love purely centres on Venetia and Paolo. There are obviously other characters who have their role to play in Venetia and Paolo’s journey, but there isn’t really any other undercurrent storyline. As a decent length book, you might think that this would be boring, but you do not really notice this and I think this must be due to the descriptive nature of the writing. This is not your average romantic fiction, and Hannah Fielding should be admired for doing her homework so well and writing in such a captivatingly descriptive manner. Lastly, I shouldn’t leave without saying the cover to this title is simply divine!